Wanna help improve employee morale, worldwide? It’s tricky to write a Work-With-Us page without starting to brag about how cool, talented and ridiculously smart the current employees are. How can you transmit what a “normal” day feels like over at Celpax? Perhaps by being transparent about our Employee Mood KPI (how people feel on a “normal” day at work). We’re striving to be among the 3% of workplaces that are consistently over 90% green. We’re still not there, but trying to add fun – and using our ridiculuosly intelligent minds – to get there! 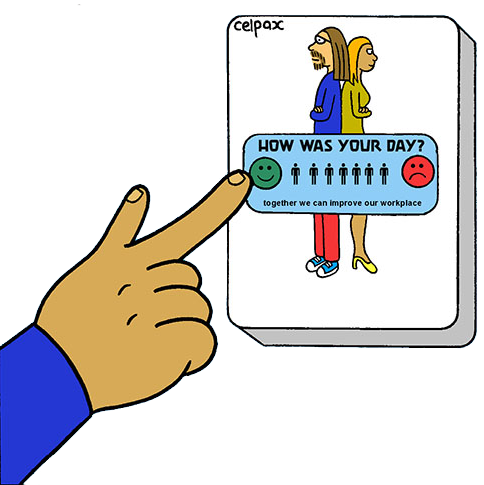 At Celpax we use simplicity and tech tools to get people more motivated at work. We’re a small for-profit based in Stockholm and Barcelona. 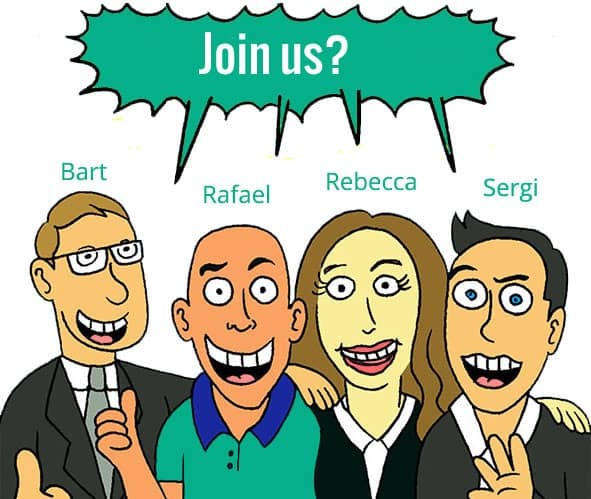 We’re a semi-remote team that believe in adding fun and simplicity into what we do. …looking for talented people independently of where you’re based. Do you have some made skills to bring onboard to help us grow? Or are you looking for an internship? Help us shape the future of work! You’ll also of course get the chance to press green or red on a Celpax every day to help you reflect on how your workday went. Our Purpose: Engage the global workforce! We believe in a world where working can be fun and fulfilling while delivering top performance. We create solutions to help people get more involved at work. We spread these throughout the world. We believe in making a global difference and solutions accessible to everyone. We believe positive energy drives team success; we love to get involved and contribute. We innovate by looking from different angles, thinking simple, and pursuing our dreams. We always challenge ourselves, because change starts from within.